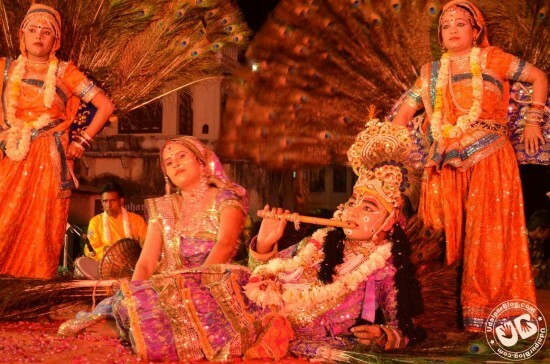 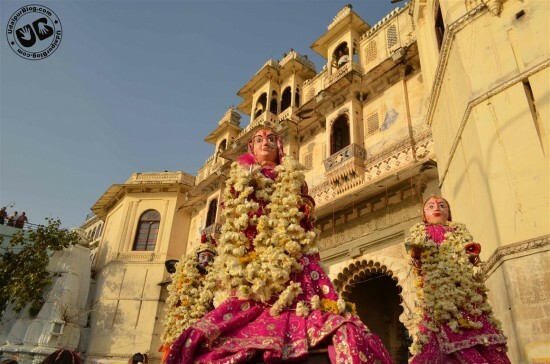 Colors of tradition spread out everywhere, Sparkling water of Pichola, Rajasthani women and girls elegantly dressed up, and beautifully decorated idols of Gangaur glittering in the beautiful light. Such was the charm of Mewar Festival at Gangaur Ghat. 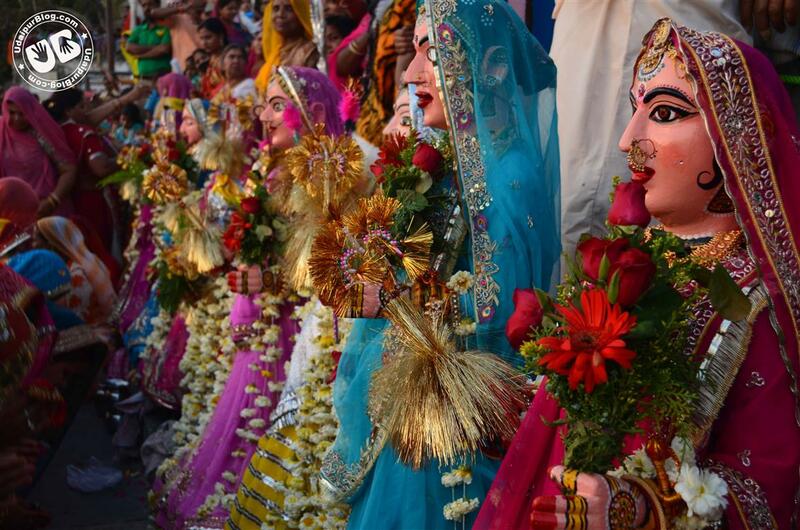 It felt as if everything around is tinted in rainbow – colorful and vibrant. As the folk tales say, these 16 days of Gangaur were the days when Parvati Ji stayed at her father’s home. 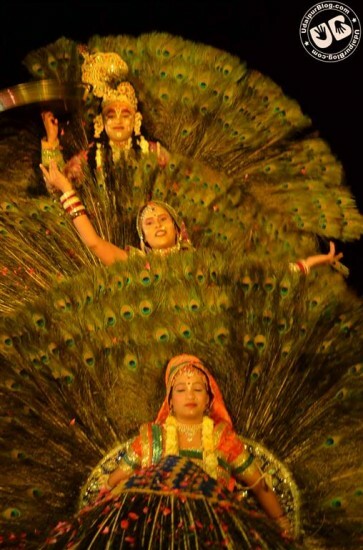 These were the days of celebration, days to worship Gauri for a perfect husband and his well being. 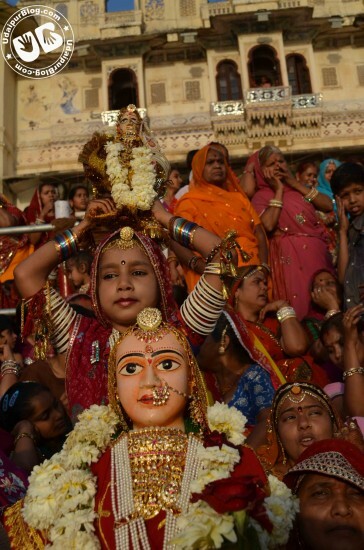 Today, Gauri Ji was given farewell amidst a big festival – the Mewar Festival. 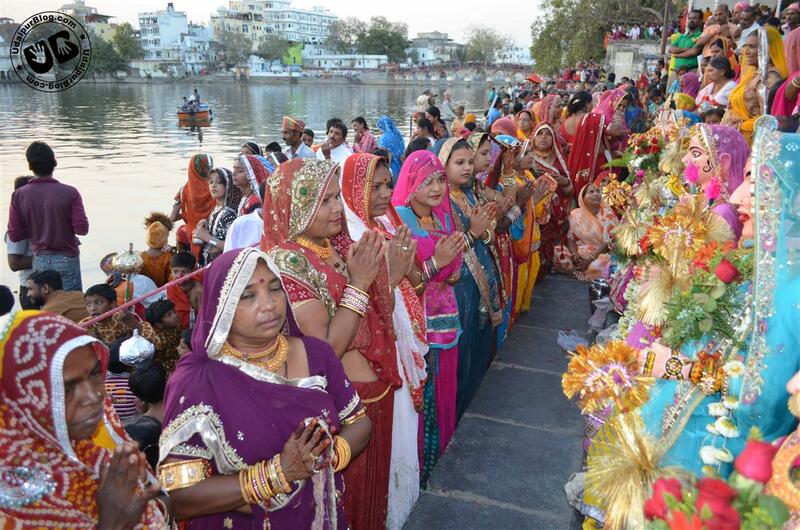 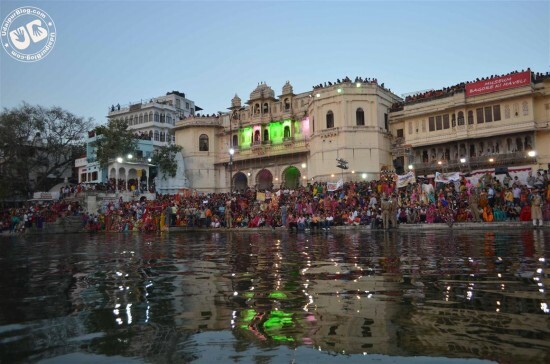 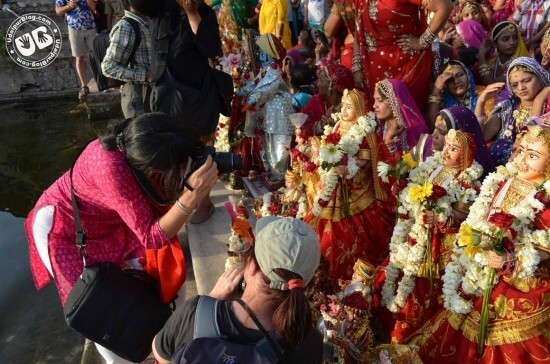 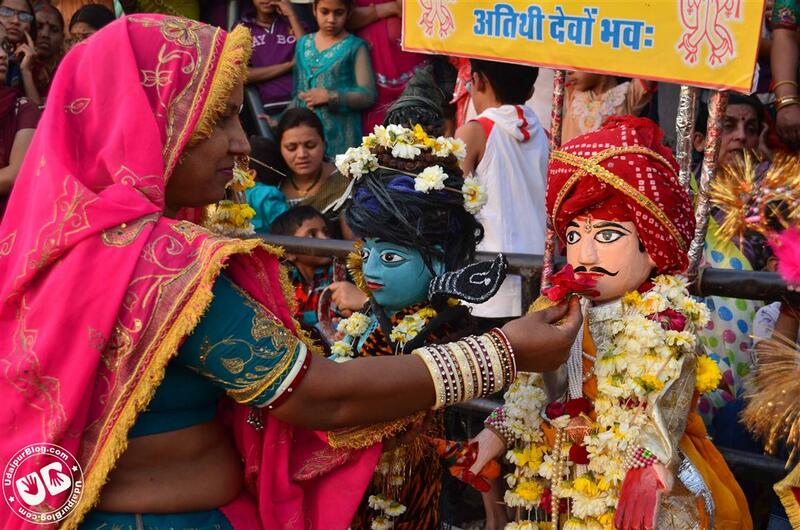 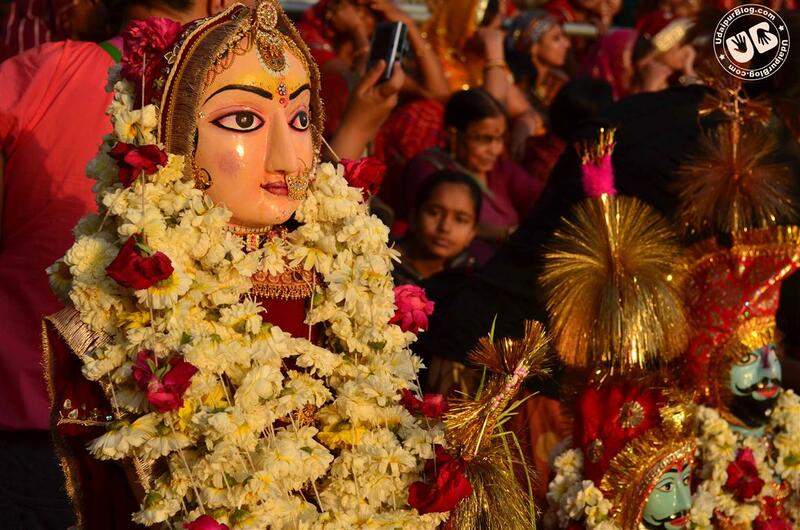 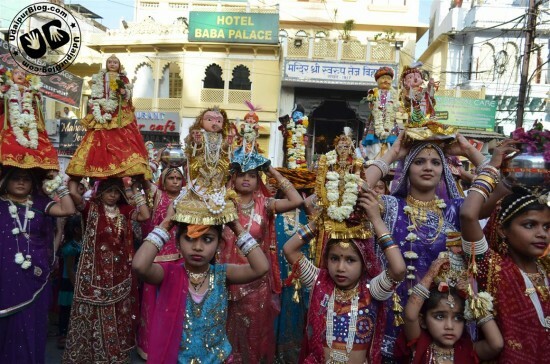 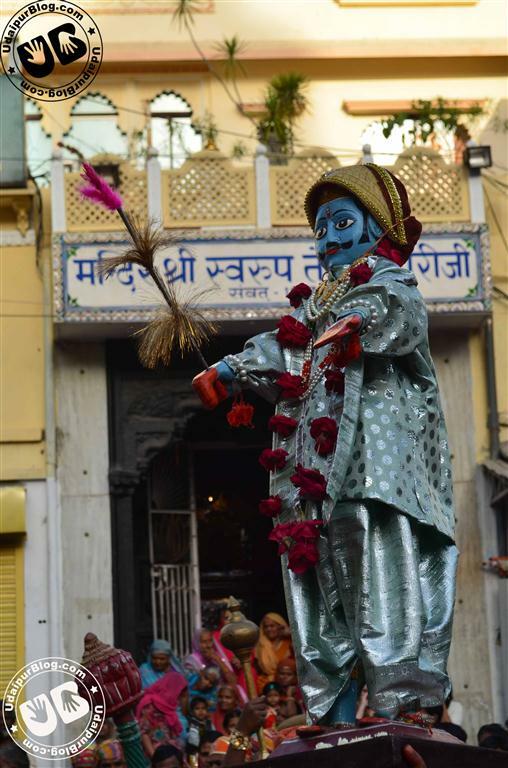 The celebration started with a procession, in which women carried the idols of Isar and Gangaur all the way from Clock Tower to the Gangaur Ghat. 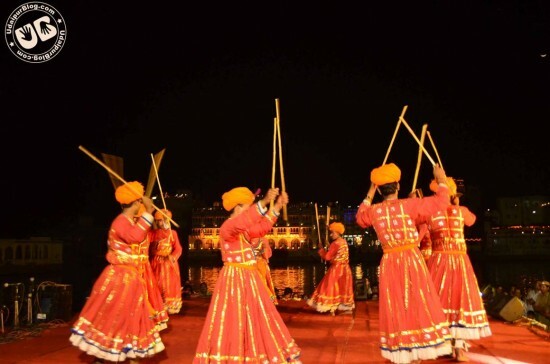 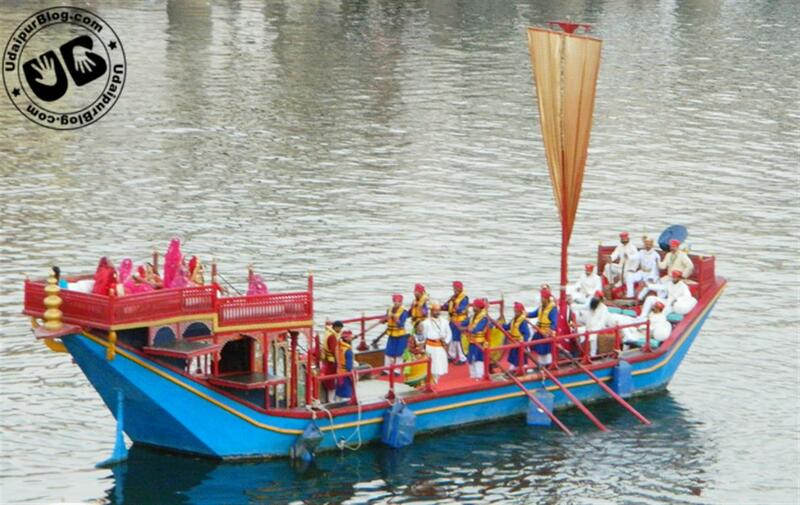 Then the Royal boat of Palace was taken out from Bansi Ghat to Gangaur Ghat which was the centre of attraction of the evening. 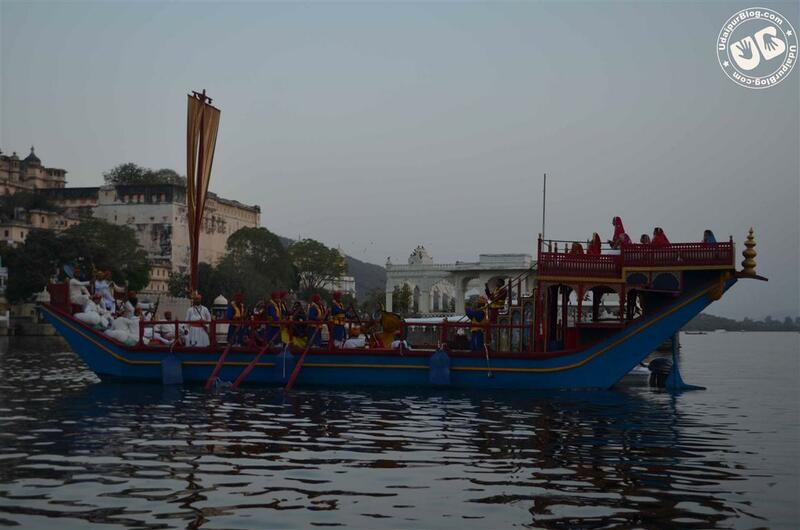 Colorful boat in the glowing water of Pichola was truly worth watching. 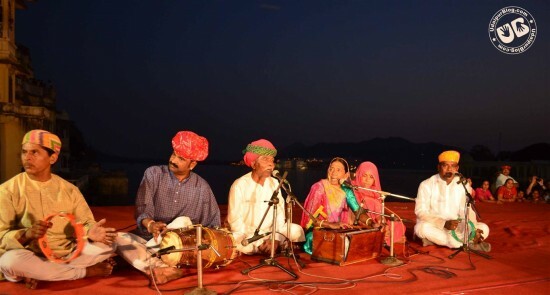 Then the artists showed various shades of culture in the cultural programme that followed.The Show started by the performance of renowned Maand Singer of Udaipur – “Maangi bai”; Tune of ‘Padharo Mahare Desh’ filled the air and traditional dance forms like ‘Ghoomar’ and ‘Kalbeliya’ took hold of the breath. 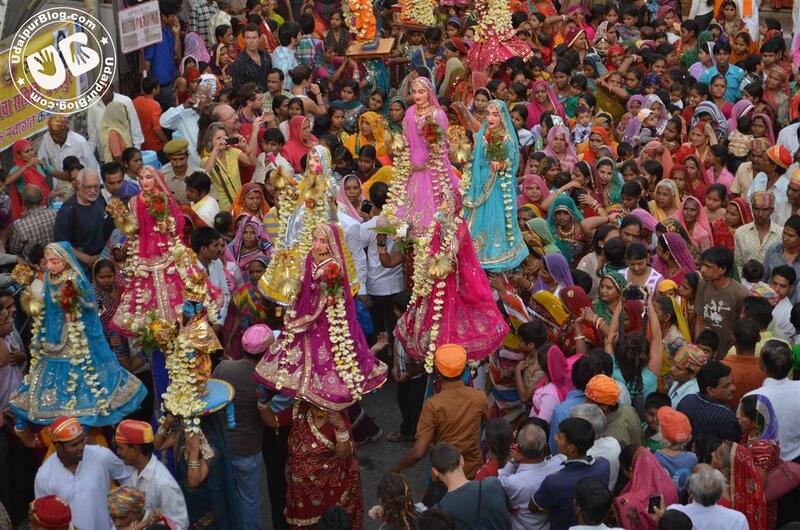 On the whole, the whole festival served as an eye candy with its striking colors and glorious culture. 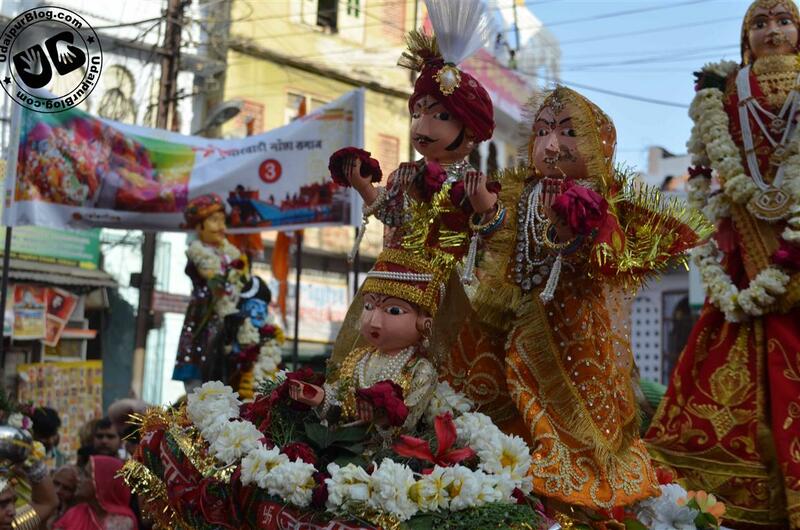 The best decorated award were won by the Rajmali Samaj who won the first prize and an amount of Rs. 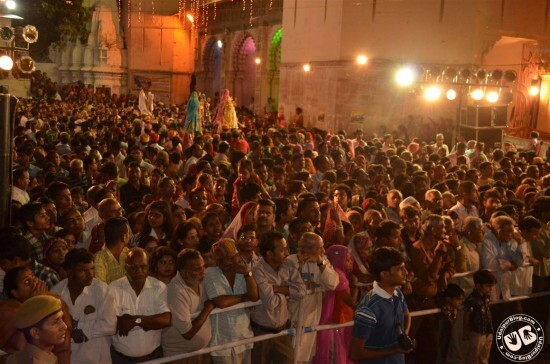 11000. 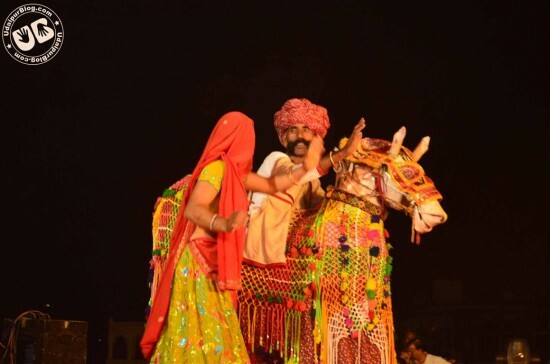 The second was the Kahar Bhoi Samaj while Maru Kumawat Samaj bagged the third spot. I was so untouched from one of the best festivals of Rajasthan and that too purely dedicated to womenfolk. 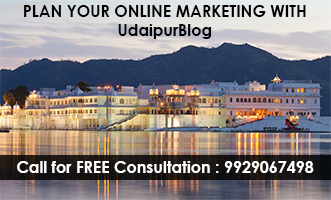 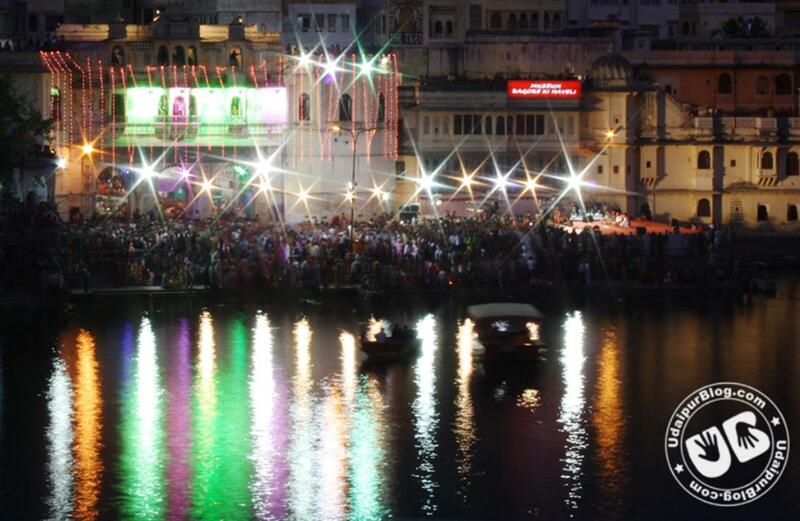 For those who are still untouched with its allure, UdaipurBlog have the best of pictures of this celebration. And for those who captured the view in their eyes, these photos will recall those amazing moments. 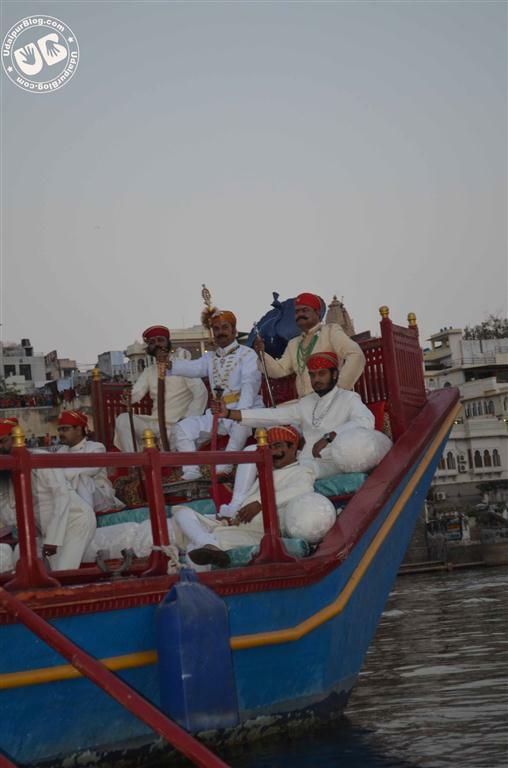 Nice Photo, …………Mewar aaj bhi jinda hai apni sanskrut or tyohar mai…..